In the classic Jorge Luis Borges story "On Exactitude in Science," cartographers achieve perfection in mapmaking by creating maps that are precisely identical to, and exactly the size of, the cities they represent. Attempting to depict, fully, the pleasures of A Grand Italian Epic is a task a bit like that—in order to capture the book, you have to experience the thing itself. And A Grand Italian Epic is merely a Valentino highlight reel, touching on some but not all of the touchstone moments, creations and relationships that together add up to a legendary life, a legendary career, and a legendary maison that continues to post new triumphs under the creative directorship of Pierpaolo Piccioli. At the center of it all, though, is the fashion. 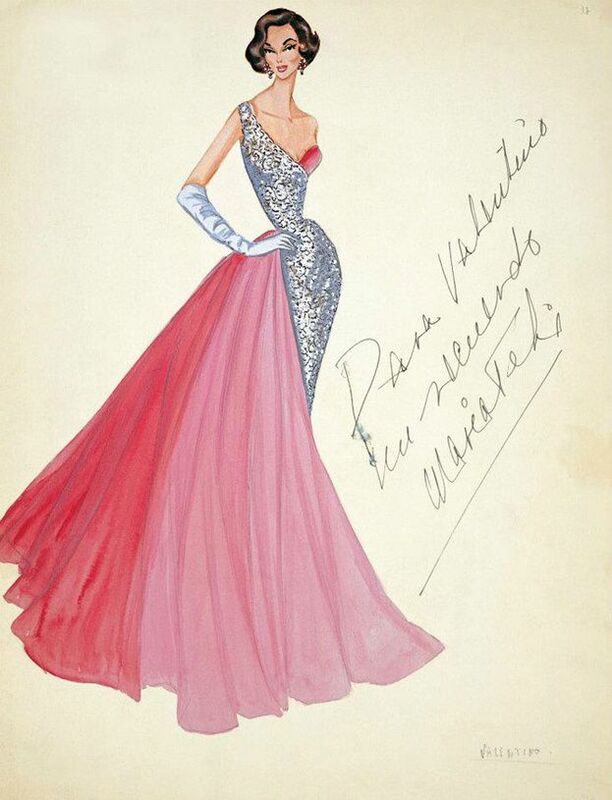 What is Valentino without the clothing dreamed up over 45 years by Mr. Valentino, labored over by the women in his atelier, and worn by celebrities, aristocrats, supermodels? 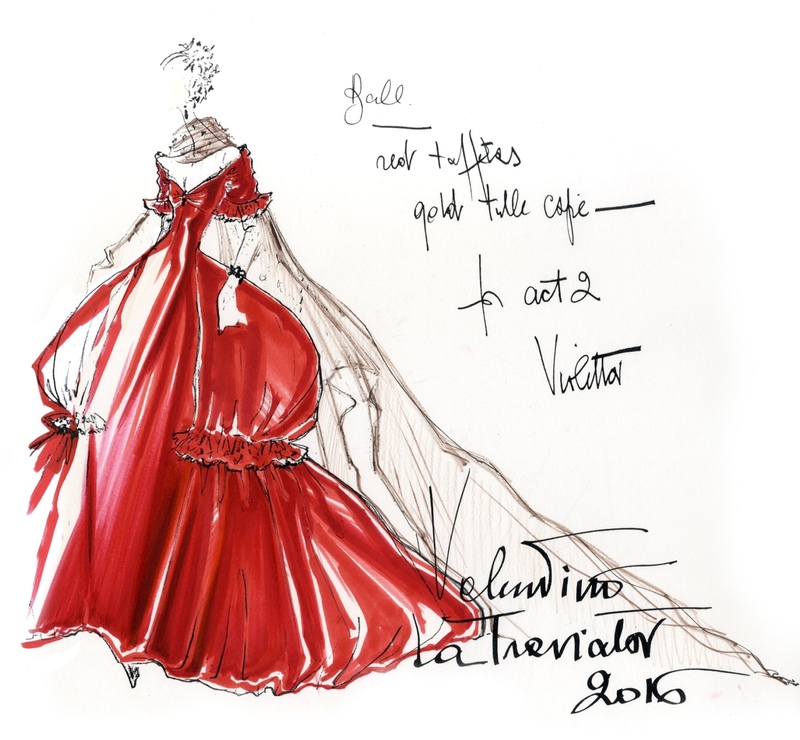 And so it's only fitting that the greatest of the pleasures of A Grand Italian Epic is its concluding one: 100 pages of sketches, full-length photographs and detail shots of classics from the Valentino archive. 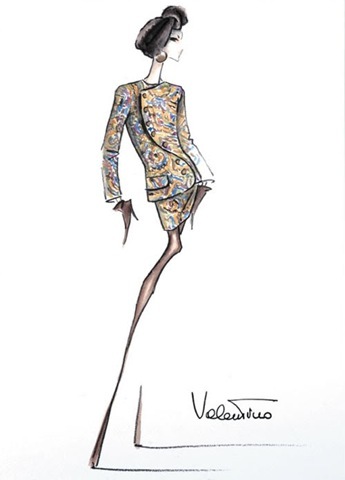 They provide ample evidence to support the "huge compliment" that Anna Wintour pays Mr. Valentino in the introduction to this section of the book, calling him, simply, "the world's best dressmaker." There is both variety and consistency in the Valentino look elaborated over 45 years of collection-making—an unerring sense of the feminine, demonstrated as perfectly in Mr. Valentino's earliest sketches as in the gowns he showed at his final couture show, and a vein of rigor in the deployment of opulent detail, with every sequin, every feather, every gently gathered rosette finished perfectly and placed just-so. The silhouettes and the proportions evolve, themes wax and wane and wax again, but the essential Valentino-ness is always the top note. The legend of Valentino passes through these looks—they're the thread connecting all the rest of the glamour, luxury, beauty and overarching la dolce vita. Grand, Italian, epic. This book could have no other title.